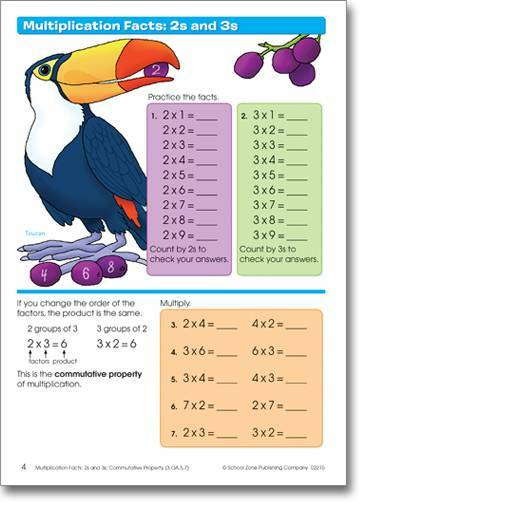 Build your child's confidence for higher-level math. Multiplication and division are difficult concepts for many children; however, a firm foundation makes everyday tasks easier and strengthens progress. 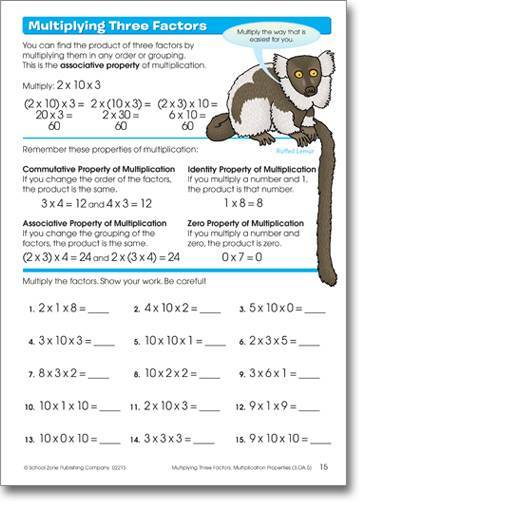 This Multiplication 3-4 Deluxe Edition workbook consists of clear instructions, step-by-step examples, and a fascinating rainforest theme that will help your child enjoy practicing math skills. Features include an easy reference answer key, perforated pages great for individual worksheets, concept and skill focus listed at bottom corner of each page, parent guide and recommended activities pages and more. 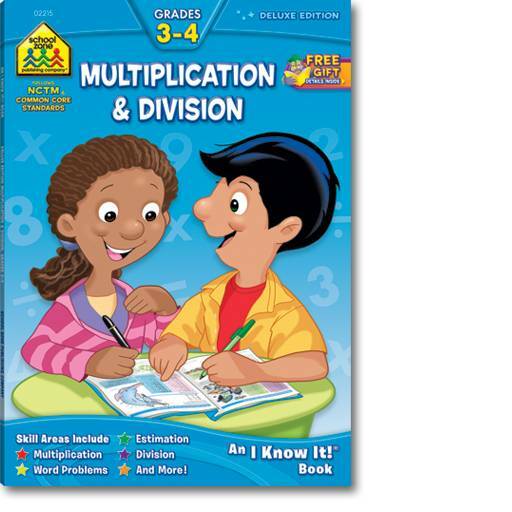 Reinforces the following skills: multiplication; division; multiplication facts and factors; estimating products; finding missing factors; solving word problems; greatest and least; quotients; remainders.